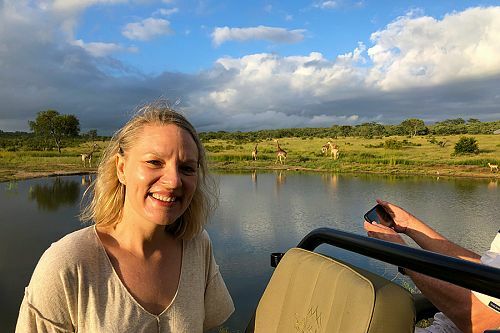 We crafted this Luxury andBeyond Safari: South Africa package for a high-powered couple from Washington, D.C. who wanted to cross a Kruger safari off their bucket list and had just over a week to travel. Based on their travel style, we decided to send them to 2 andBeyond safari lodges, because we knew they would be well taken care of and enjoy excellent wildlife safaris throughout their trip. 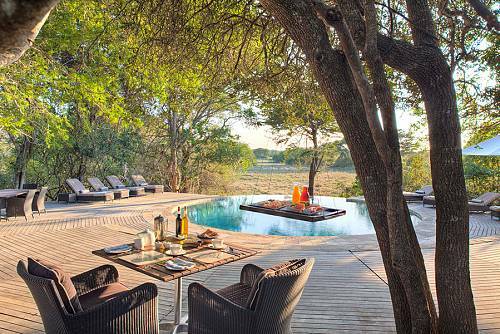 First for their Luxury andBeyond Safari: South Africa package, they spent 4 nights at andBeyond Phinda Forest Lodge. 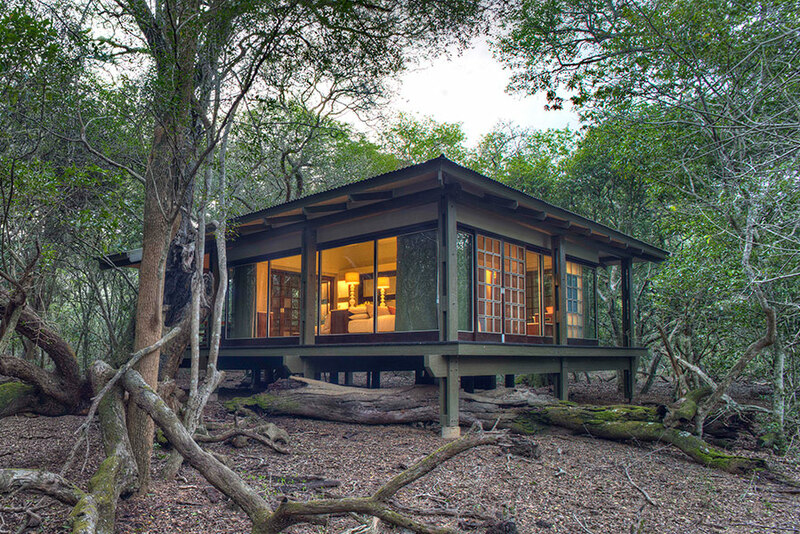 This gorgeous lodge is located on the exclusive Phinda Private Game Reserve, hidden amongst the trees. 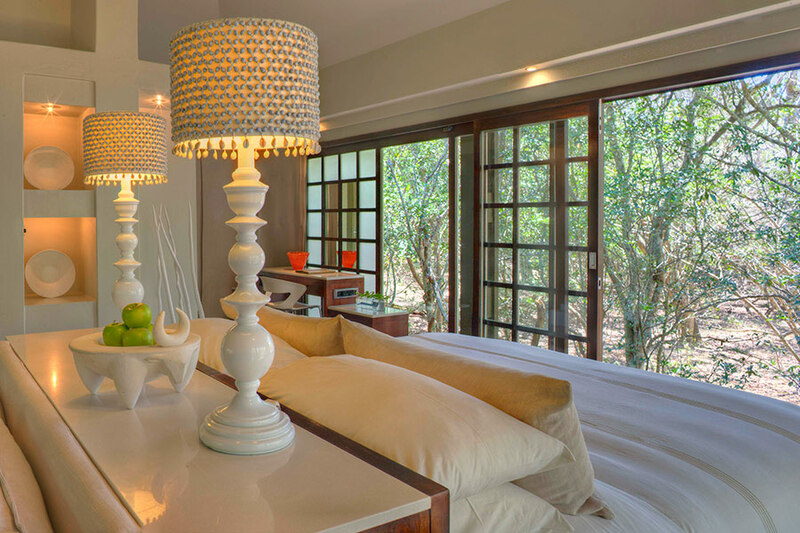 Their spacious suite was a beautiful blend of nature and modern luxury, almost like a fairytale. They spent their days on thrilling game drives to see the Big 5, as well as the abundant cheetah that call the Phinda reserve home. Next, it was on to the world-famous Sabi Sand region bordering Kruger National Park, where they stayed at andBeyond Kirkman’s Kamp. 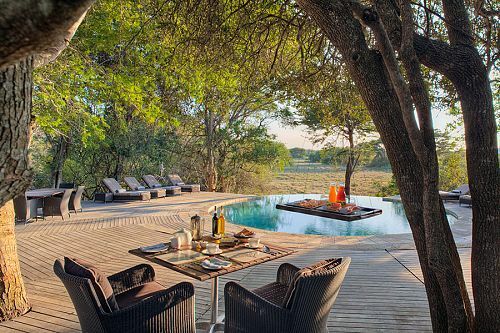 This fabulous private concession is one of the most exclusive and sought-after safari destinations in all of Africa, and it did not disappoint! Our couple had thrilling sightings of lions, leopards, wild dogs, elephants, and so much more. Back at the luxurious, 1920s-style lodge, they soaked up the colonial charm and the expansive views over the Sand River. 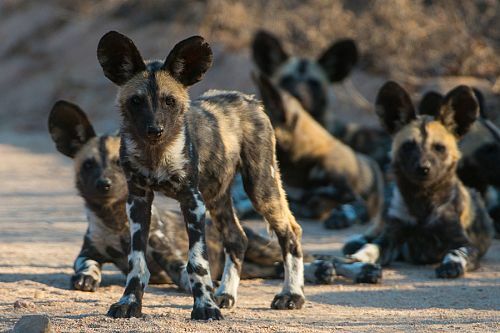 They also decided to add some unique adventures in the Sabi Sands: a guided walking safari and a sleep-out under the stars, completely surrounded by nature. These were some of the highlights of their trip! After a week of jaw-dropping adventures in South Africa, their Luxury andBeyond Safari: South Africa package came to an end and it was time to begin the journey home. 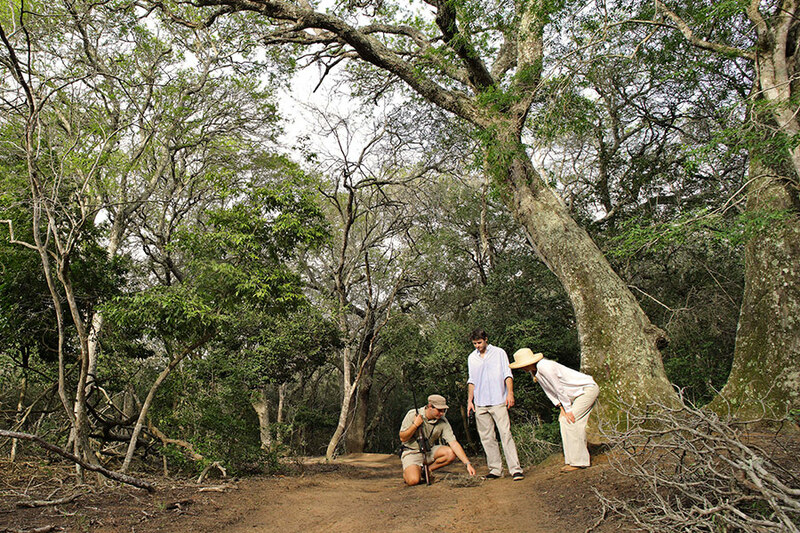 Special Offer: Discounted flights to/from Phinda Private Game Reserve. See Inclusions for details. Welcome to South Africa! Upon arrival into Johannesburg, you will be met at the door of your aircraft with your name on a paging board; assisted through immigration, baggage collection, and customs; and escorted to your onward flight, which will take you to Phinda Private Game Reserve. You’ll waste no time in starting your luxury African safari! Your home for the next 4 nights is andBeyond Phinda Forest Lodge. This gorgeous safari lodge is hidden within dense sand forests and looks out over pristine natural bush. Termed “Zulu Zen,” your spacious suite is built on raised stilts, the glass and wood construction blending with contemporary décor and minimalist design. The room invites the forest within, fusing nature and luxury, while the surrounding trees create a sense of privacy and romance. 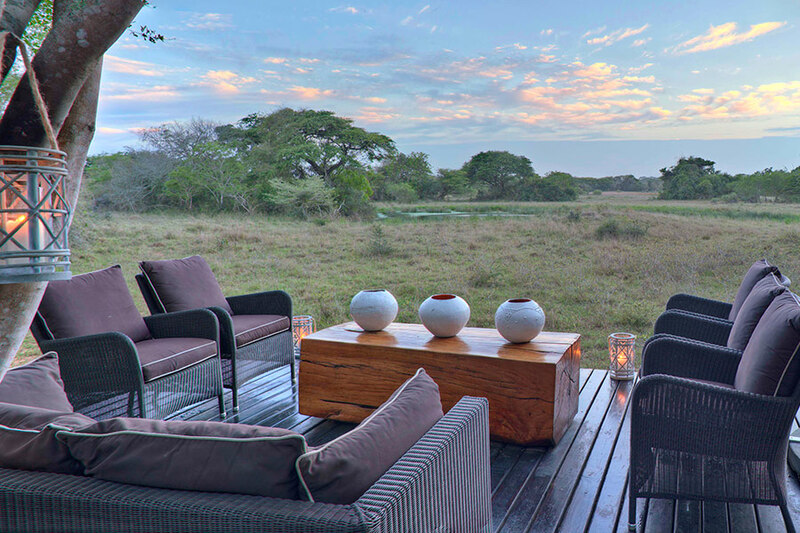 Time permitting, you can embark on your first game drive this evening, or simply relax after your long journey and absorb the tranquillity from your private deck. Spend the next 3 days on safari in this rich corner of South Africa. Go on an African wildlife safari with twice daily game drives, and see if you can spot the Big 5! Big cats, particularly cheetahs, are abundant here thanks to successful conservation efforts. You can also track the elusive white and black rhinos on foot. In between game drives, relax back at the lodge, enjoy delicious complimentary meals, and cool off with a dip in the pool. The lodge’s central areas include attractive spaces for socializing in style, and a shaded deck with panoramic views over the plains. Enjoy meals in the boma, under the star-studded skies. Perhaps opt for a sleep out under the stars one night to get a true feel for the African wilderness. The safari adventure continues today as you fly from Phinda to the world-famous Sabi Sands region. Sabi Sands shares an unfenced border with Kruger National Park, which allows for the same exceptional wildlife viewing with much more exclusivity. 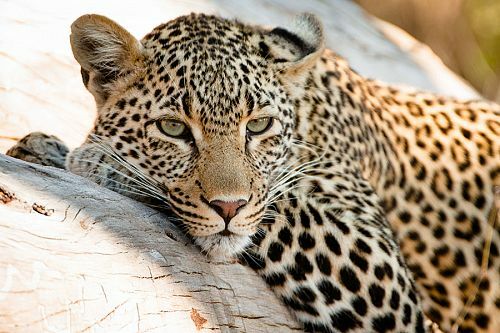 Here, you are practically guaranteed to see the Big 5, especially the elusive leopard. Not only will you notice a lovely contrast in the landscape compared to Phinda, but also in the style of your next lodge, andBeyond Kirkman’s Kamp. 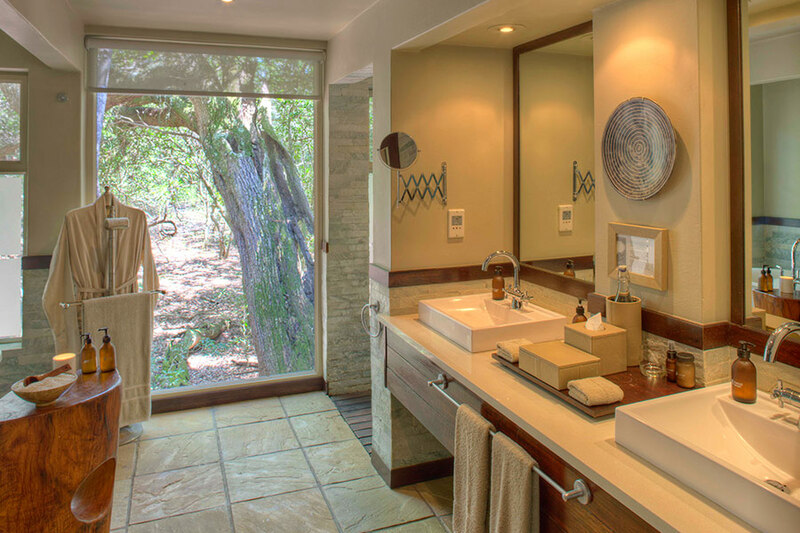 This colonial-style safari lodge is set in 6,300 hectares of private concession in the southern Sabi Sand Reserve. 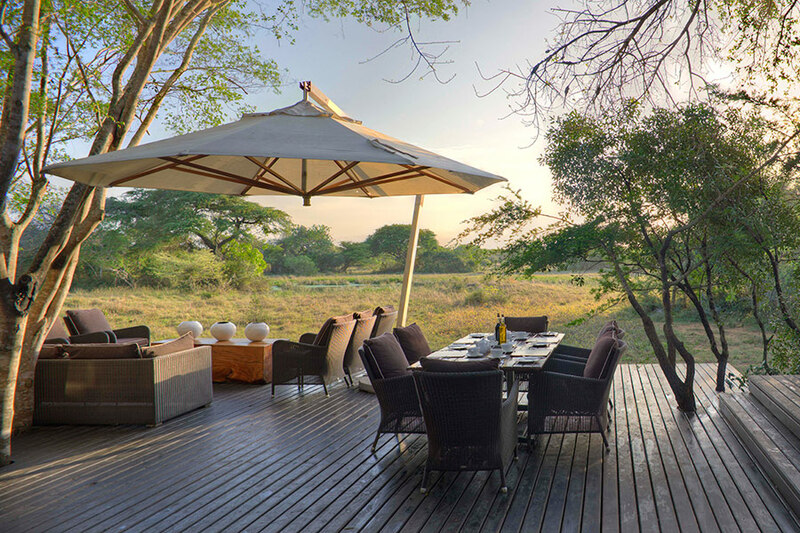 Located high on a ridge, this historic 1920s homestead is surrounded by manicured lawns (where you may see wild warthogs grazing) and offers spectacular views of the unspoiled landscape surrounding the Sand River. The main areas evoke the charm of an era long since past, featuring an elegant sitting room and extensive verandas where breakfast and lunch is catered. Dinners are enjoyed in the romantic boma or a candlelit bush setting. Enjoy morning and late afternoon game drives in this bucket list safari destination. Quality safari guides will bring the drama of the African bush alive, from the Big 5 to the smaller creatures that begin to capture your imagination as you immerse yourself in this spectacular wilderness. In addition to game drives, guided bush walks provide an intimate nature experience, and optional in-room massages are the perfect way to relax in between safari adventures. It’s time to say goodbye to your luxurious home away from home today. As you fly to Johannesburg and board your connecting flight back home, you will feel an irresistible pull to return to Africa, where pristine nature meets utmost luxury. This pricing is using the “Fly Me to Phinda” offer rates. Valid for travel January 11 to December 19, 2019. Inquire for pricing for your travel dates.